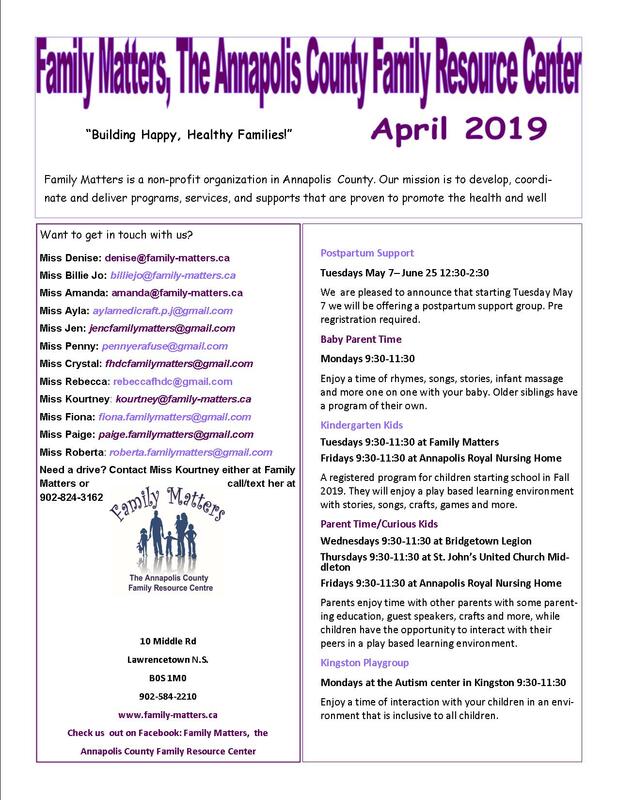 Classes will take place at Family Matters (10 Middle Road Lawrencetown) from 6:00pm-8:00pm. All expecting mothers, fathers and support people are encouraged to attend. Free child care and limited transportation availanle. Dates: Tuesday Evenings starting October 4th until November 8th. Please conatact the office for more details or to register. 902-584-2210 or 1-800-399-7119.